Welcome back to Member Monday. It’s a pleasure to feature an excerpt from A.N.G.E.L.S., a novel by Writers Forum member Bob Bliss. Here’s a little more about Bob. Dr. Robert W. Bliss is a retired Computer Systems professor. 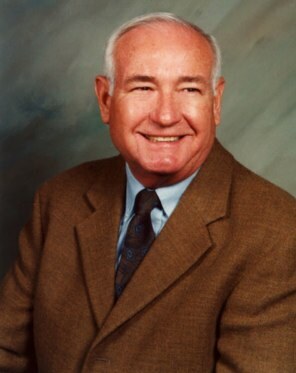 He taught for 27 years at Saddleback College, in Mission Viejo, California. Prior to that, he was a technical writer and systems analyst in the computer industry. His article “Hybrid Computers” made the cover of Machine Design magazine, in October 1977. McGraw-Hill published his textbook, “Introduction to Computer Information Systems – A Business Approach” in 1990, and Bliss revised it every year until he retired in 2004. McGraw-Hill published his science-fiction novel, “A.N.G.E.L.S., INC.” in 1998. Dr. Bliss got all of his college education at night, while working full-time to support his family. He has an AA degree in Physics from Cerritos College; BA and MBA degrees in Management from California State University, Fullerton; and a Doctorate in the Administration of Higher Education from Nova Southeastern University. Bliss has made three television series. In 1988, viewers phoned in questions, which he answered live on his “Computer Talk” show, at KSBR, Saddleback College’s TV station. In 1989, Saddleback videotaped 28 of his Computer Systems lectures and broadcast them as a telecourse for several years. In 1990, he made the “Computer Literacy with Dr. Bliss” series, which was filmed at KOCE-TV, the PBS station in Orange County, and was distributed nationally by John Wiley & Sons. A futurist from an early age, he read his first Sci-Fi story at age seven. At his high school Science Fair, he lectured on space flight-four years before Sputnik. In 1968, he won an employee suggestion award for recommending a machine we now call the Fax. His most recent interests are intelligent robots, and genetic engineering. While teaching at Saddleback College, he took sabbaticals, where he visited the Artificial Intelligence Lab at M.I.T., the Robotics Institute at Carnegie-Mellon, the Knowledge-Engineering Lab at Stanford, and he studied with Professors teaching Artificial Intelligence in Business Decision Making at Harvard and Dartmouth. He felt a great surge of warmth, “I love you, too, Steph.” She bent her head and kissed him with exquisite tenderness. After a moment, he could taste salt on her lips, and he knew that she had been moved to tears. When she pulled back, she wiped away the tears with the back of her hand, “I told you I love movies where I can have a good cry.” They laughed together. And then they made love. She dropped the spatula and rushed to him, “Oh, sweetheart! Yes!” She leapt into his arms and he held her for a moment. Suddenly, she yelped, “Yipes! The eggs!” and rushed back to the stove. As she stood with her back to him, she wiped her cheeks with the back of her hand. Jack’s love for Stephanie continued to grow. After living with her for a few months, he realized they were as close as any married couple he knew. He never tired of her. “You’re fun to be with, Sweetheart,” he said. “Always happy. Always focusing on the positive.” She had a wonderful sense of humor. They became good friends, as well as lovers. They shared the joy of swimming, running, and just reading quietly together. On their first Christmas, they had lived together for five months. They sat at a small tree in the living room, drank eggnog laced with a little bourbon, and listened to Christmas carols. He pulled a small package out of his pocket and handed it to her. She quickly peeled away the wrapping paper and saw a small, velvet-covered box. Her hands trembled a little as she lifted the lid. And she gasped when she saw the diamond ring.